This 26,400 SF fitness center is the latest building in the William Clements Center complex. The facility includes an indoor gymnasium for basketball and volleyball, weight room, aerobics room, and an indoor track. Art by Pima Community College and local high school students is displayed in a central corridor gallery. Daylighting is used to help illuminate the gymnasium, weight room, and reception area, offering views to engage the guests as they use the facility. Photovoltaic panels shade south-facing windows while generating power. 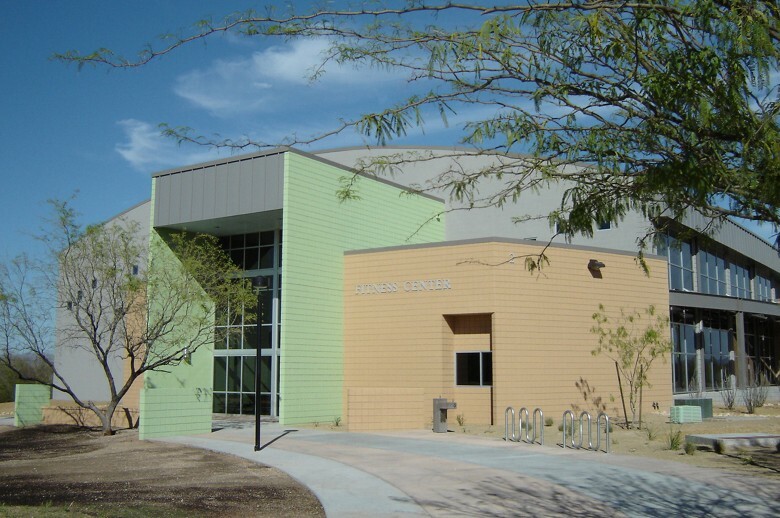 This building has increased the number of activities offered to the community and strengthened the center’s relationship with Pima Community College’s East Campus, located just south of the facility.